Car Seats & Boosters 9mth to 12yrs. Car Seat Boosters 3yrs to 12yrs. Car Seat & Bases-Isofix. Car Seats 9mths to 4yrs. Car Seat Accessories. Fast and compact folding with one hand. Back Carrier/Baby Carrier/Accessories. Hauck Viper SLX Pushchair. Hauck Viper SLX Raincover. VIPER SLX 3 WHEELER, MATCHING CAR SEAT, CARRYCOT AND RAINCOVER. Includes pushchair raincover. The large hood can be extended and pulled forward over your child to protect against strong sunlight or drizzle and a raincover is included for heavier downpours. The right to cancel is a no fault cancellation. If the goods are faulty then the standard statutory rights apply. Door Bouncers. £40 or £60. 2 or 3 Piece Nursery Room Sets(4 or 6 Boxes). £10 PER BOX. Nursery Room Sets. Size of parcel. Door Bouncers. £40 to £60. £40 or £60. 2 or 3 Piece Nursery Room Sets(4 or 6 Boxes). Sun Parasols & Canopies. £10 PER BOX. Baby Monitor Batteries Handlebar Grip phil&teds Maclaren Quinny. Good quality with machined ends for that professional look. 5 point safety harness. Safety Gates/ Fireguards & Room Dividers. 4 Wheel Pushchairs & Buggies. Play Mats & Gyms. Scottish Highlands and Islands - AB36-38, AB55-56, FK17-99. G83, HS1-9, IV1-28, IV33-56, IV63, KA27-28, KW1 -17, PA20-49, PA60-78, PH18-26, PH30-44, PH49-50, ZE1-3 Northern Ireland (BT1-99) Isle of Man (IM1-99) Scilly Isles (TR21-25) ﻿Republic of Ireland Guernsey (GY1-99) Jersey (JE1-99). Back Carrier/Baby Carrier/Accessories. Nursery Room Sets. Size of parcel. £40 or £60. 2 or 3 Piece Nursery Room Sets(4 or 6 Boxes). £10 PER BOX. Orders cannot be depatched without this. Open: 84 x 52 x 105 cm. Likewise, the comfortable car seat can be fixed without any problems. You can transport your baby safely already from the date of birth. Once your child can sit unaided, you can use the sporty buggy. Car Seats & Boosters 9mth to 12yrs. Car Seat Boosters 3yrs to 12yrs. Car Seat & Bases-Isofix. Car Seats 9mths to 4yrs. Car Seat Accessories. The right to cancel is a no fault cancellation. If the goods are faulty then the standard statutory rights apply. Usually the local Depots are open from 8am to 8pm. 4 Wheel Pushchairs & Buggies. Play Mats & Gyms. Scottish Highlands and Islands - AB36-38, AB55-56, FK17-99. G83, HS1-9, IV1-28, IV33-56, IV63, KA27-28, KW1 -17, PA20-49, PA60-78, PH18-26, PH30-44, PH49-50, ZE1-3 Northern Ireland (BT1-99) Isle of Man (IM1-99) Scilly Isles (TR21-25) ﻿Republic of Ireland Guernsey (GY1-99) Jersey (JE1-99). Car Seats & Boosters 9mth to 12yrs. Car Seat Boosters 3yrs to 12yrs. Car Seat & Bases-Isofix. Car Seats 9mths to 4yrs. Car Seat Accessories. One Hand Easy Folding ✔ Suspension ✔ Front Swivel Wheels ✔. Car Seats 9mths to 4yrs. 4 Wheel Pushchairs & Buggies. Play Mats & Gyms. Scottish Highlands and Islands - AB36-38, AB55-56, FK17-99. G83, HS1-9, IV1-28, IV33-56, IV63, KA27-28, KW1 -17, PA20-49, PA60-78, PH18-26, PH30-44, PH49-50, ZE1-3 Northern Ireland (BT1-99) Isle of Man (IM1-99) Scilly Isles (TR21-25) ﻿Republic of Ireland Guernsey (GY1-99) Jersey (JE1-99). Prince Lionheart Pushchair Shade. Why this pushchair shade?. Prince Lionheart's SPF 50 Pushchair Shade protects your child from the sun's harmful rays. An easy to use pushchair sunshade. Fits pushchairs with a canopy or hood. 1 x Double pushchair. The lockable front wheels, which swivel through 360°, make this buggy agile and manoeuvrable, even with two children. For your little one's safety, the buggy is equipped with a 5-point belt with shoulder padding and a front bar. The right to cancel is a no fault cancellation. If the goods are faulty then the standard statutory rights apply. Double Pushchair & Tandem. High Chairs & Accessories. Back Carrier/Baby Carrier/Accessories. Back Carrier/Baby Carrier/Accessories. Car Seats & Boosters 9mth to 12yrs. Car Seats 9mths to 4yrs. The right to cancel is a no fault cancellation. If the goods are faulty then the standard statutory rights apply. 2 or 3 Piece Nursery Room Sets(4 or 6 Boxes). Car Seats & Boosters 9mth to 12yrs. Car Seat Boosters 3yrs to 12yrs. Car Seat & Bases-Isofix. Car Seats 9mths to 4yrs. Car Seat Accessories. The right to cancel is a no fault cancellation. This is a Bugaboo foot muff which is in good condition, (it has been washed). 1 x Inner Bent Valve Tube BUGABOO DONKEY REAR WHEEL Prams * 1st Class Post * 12"
1 x Inner Tube - suits most inflatable Pram / Pushchair Tyres. 1 x INNER TUBE BENT VALVE PRAM. These are high quality 45 degree bent valve inner tubes, easier to fit than most 90 degree bent valve tubes. Quinny Buzz Xtra Moodd & rear suspension and brake system black. original spare parts by Quinny. Marke Quinny. suitable for the buzz and buzz Xtra stroller. Here is an assembly instruction to switch the brake system. 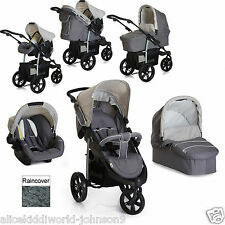 Lionelo Elise Stroller, Dark/Grey. Item is otherwise complete with all accessories as you would expect from a new item. 12 MONTHS WARRANTY SUPPLIED. Big basket installed under the stroller. 5-point safety harness. Marke Safety 1st. Sleep & Go. Suitable for. This newborn carrycot creates a rear facing pram body for use with your existingOut n About Nipper double pushchair (requires optional carrycot adaptor). This carrycot is suitable only for the Double Nipper V3 or V4. Luxury 3 in 1 Foldable Baby Travel Stroller Infant Carriage Pushchair. This baby stroller features shake-proof design, is adjustable for baby to sit or sleep. We also send you a safe baby car seat. Suitable for 0-36 month babies, Max. Double Pushchair & Tandem. Colour: Black. The right to cancel is a no fault cancellation. If the goods are faulty then the standard statutory rights apply. Back Carrier/Baby Carrier/Accessories. Orders cannot be depatched without this. By identifying the problems parents are faced with when travelling with young children, Hauck have introduced the Lift Up 4. Free Raincover. Pushchair weight: 10.1kg. Pull the release loop on the seat and the stroller will fold down to a compact and manageable size. The right to cancel is a no fault cancellation. If the goods are faulty then the standard statutory rights apply. £40 or £60. 2 or 3 Piece Nursery Room Sets(4 or 6 Boxes). £10 PER BOX. Weight: 6.2kg. Suitable for the Babyzen buggy YOYO . Glider Cribs & Rocking Cribs. Wardrobes,Dressers & Drawers. Nursery Room Sets. Size of parcel. A pre-order item is a high demand product which Online 4 Baby have secured from the manufactures but not yet received. Four-wheel Foldable Pram Baby Stroller. - Bearing weight: 25kg. - The awning is designed to protect your baby from the sun's harmful rays. Item Type: Stroller. - Fully adjustable for baby to sit or lie. Hauck Lift Up 4 Pushchair. By identifying the problems parents are faced with when travelling with young children, Hauck have introduced the Lift Up 4. Hauck Zero Plus Comfort Car Seat. Pushchair Open: 95 x 60 x 106cm. LIONELO EMMA PLUS. Emma Plus is a stroller made of high quality materials. The seat, roof and backrest of the trolley are made of durable FrictResist 300 DEN fabric resistant to abrasion and weather conditions.